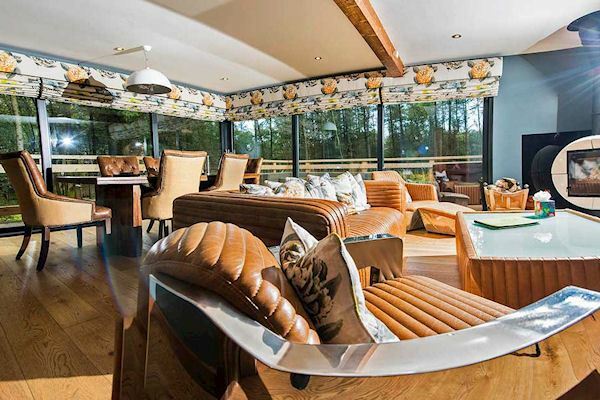 You will find yourself elevated among the treetops enjoying far-reaching forest views, whilst relaxing in sumptuous leather sofas, or paddling around in one of our Studford fluffy dressing gowns as you come and go from the sauna. 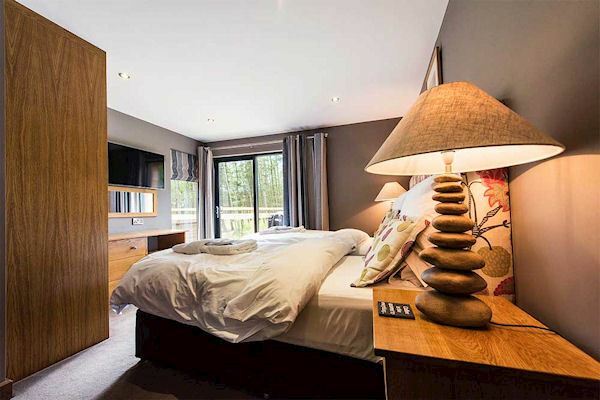 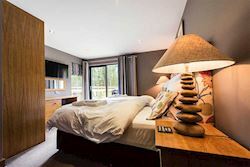 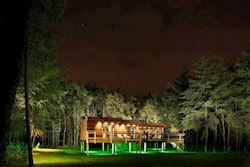 Each lodge sleeps up to six people in three double ensuite rooms and has an open plan living area with full-height glass sliding doors leading to large private decking. 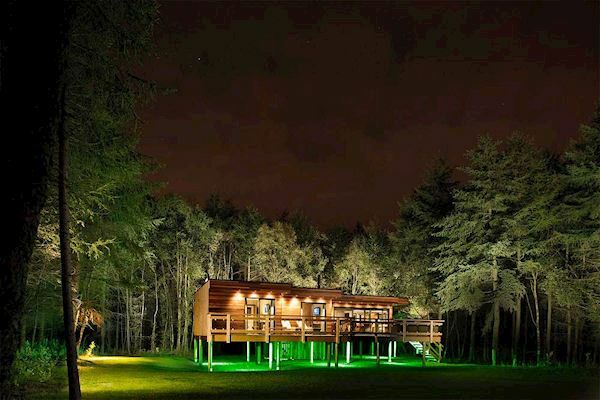 Here you can eat al fresco; sunbath in peace, or gaze at the stars through the tree canopy from the warmth of your very own hot tub. Our stylish contemporary wood burners are a key feature in every lodge and we provide a starter log pack free of charge. 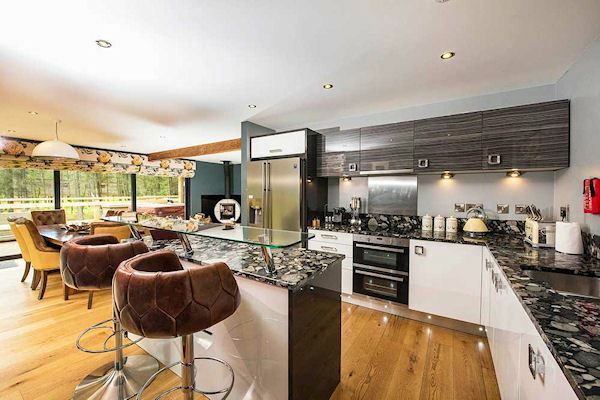 Underfloor heating ensures a cosy stay all year round while electric barbeques are provided for use on your own decking.